The following material comes from the forthcoming eBook, Marketing Essentials For Your Growing Business. To get this eBook for free when it comes out, register your email address by clicking here. Marketing is a critical component to your company’s long-term success. While your industry may require niche marketing knowledge, the essentials of marketing remain the same for every business. Whether your industry is big or small, whether you have a small or large budget, marketing is the lifeblood of your business. I write this book for all types of business owners, sales teams, and marketing professionals—all customer-facing business—yet, those I’ve had in the forefront of my mind while writing this are businesses who are in the midst of branding—or rebranding—their company. Anytime you interact with a customer, you’re marketing. When you leave an impression about your business, customers will tell other people about the impression whether good or bad. Then, those who hear about your business will have an impression of your company. The impression might come from a phone conversation, a sales consultation, or an email interaction. All interactions between your brand and current or potential customers is an opportunity to market the company. Get the whole eBook free here. You might not be directly marketing in a traditional sense, but it’s marketing nonetheless. Your attitude, your friendliness, and even your integrity—whatever you show others will market your brand. If we’re talking about the difference between marketing and selling, think in terms of timeframe: selling is a temporary event, but marketing stays with your brand for the long haul. What if sales are great? You might be making sales right now, but if you’re in this for the long-haul, you need to create your brand and market it well. Why is this book so important for businesses? This book is vital for you because many business owners and decision makers don’t have formal marketing knowledge. I’m here to say that you don’t need formal training in marketing to successfully market your business. I’m not claiming to be a guru, but I have important insights about marketing to share with you. 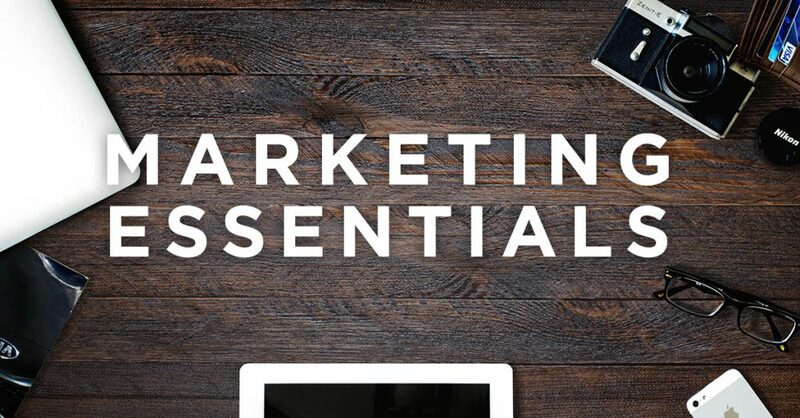 That’s why I’m writing this—to help you with the essentials of marketing. Marketing is usually just trial and error, so having a resource like this will save you time. The problem this book solves is the lack of knowledge and experience business professionals have in marketing. It serves as a refresher to people who have some marketing knowledge, but it’s also for new businesses who need a high-level overhaul of their marketing strategy as they brand or rebrand their company. Brand: The identity of an entity. Marketing: Communicating your brand to others. Marketing strategy: Your methods for marketing. How do you get started on your marketing strategy so you can get your brand out there? The same way you get started with a 5K run—you just go! There’s a method, sure, but marketing isn’t something that has a cookie-cutter formula that you can follow in every industry and in every circumstance. You have to take the principles and mold them to you circumstances. This book will give you the principles you need. If you want to get this eBook for free when it comes out, register your email address here.